The Windows 10 Update failure 0x8024500C error code, like the Windows 10 Store error code 0X80072EE7 is often caused by misconfigured system files on Windows 10. As for the misconfigured system file issue, there are many factors can result in system files errors, an incomplete installation/uninstall, or improper deletion of any programs or hardware, corruption entries in the system files etc. If you fail to download/install the application or fail to upgrade to Windows 10 with the 0x8024500C error in Windows 10 store, this post introduces you a few effective solutions to end up the 0x8024500C error message. Below are several ways to help you to figure out Windows 10 Update error code 0x8024500C and get the Windows Store back into normal track. Resetting the Windows store is the first-to-go fix to resolve the Windows store issues like the Windows store not working or the APP activation failure 0x8024500C error after Windows 10 update. Below is how. 1. Press the Windows shortcut keys Win + R to launch the Run. 2. 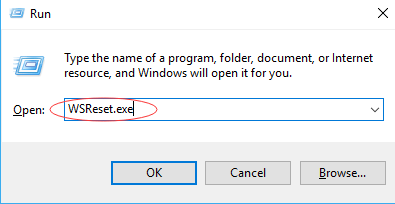 Type WSReset.exe and then hit Enter. Windows built-in feature, Windows Troubleshooter also help to fix common Windows system error, including the update error 0x8024500C. 1. Press Win + I to bring up the Windows Settings. 2. Go to Update & Security -> Troubleshoot -> Windows Update and then click Run the troubleshooter. 3. Choose Try troubleshooting as an administrator. And then follow the instructions to complete the troubleshooting process. The Windows 10 update error 0x8024500C sometimes can relate to the computer display/Network since the drivers or software compatibility issue may appear due to the Windows 10 Upgrade, resulting in system inner issues like blue screen, Low FPS, black screen, error code 0x8024500C in Windows Store etc. In this case, you need to update the display/network drivers. To save your time, you can count on a professional driver manager to do so, say Driver Talent. Trusted by over 3,000,000 people, over 200 countries and areas, it can help to download and install the official and WHQL drivers for any devices on Windows OS. Click the Download button above to get the driver manager, Driver Talent. Then use it to update your improper drivers and get access to your Windows 10 Store or Windows 10 updates without 0x8024500C error message. 1. Click Scan to detect the outdated, missing or broken graphics driver, network driver and other faulty ones. 2. 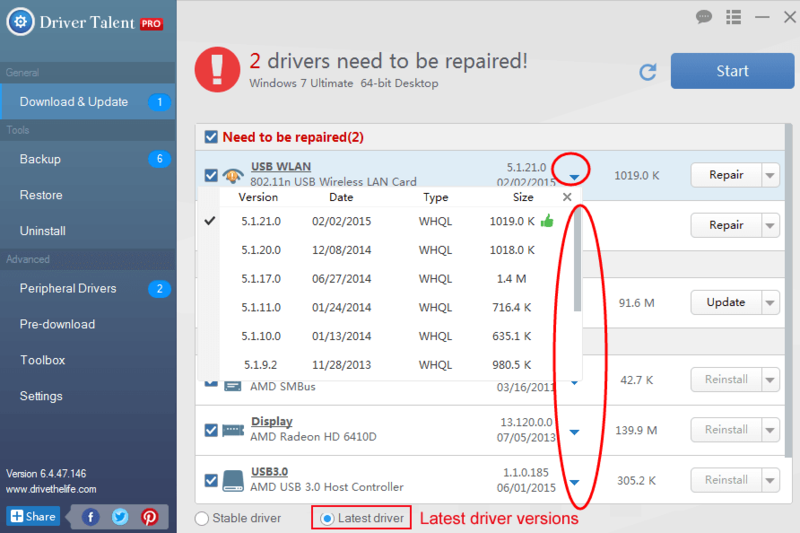 Click Update/Repair to download and install the latest driver updates. 3. Reboot the computer to make the new drivers take effects. 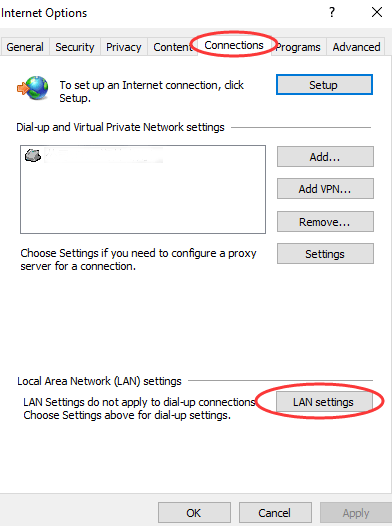 If you use any proxy connection, then follow the steps to disable the proxy connection. 1. Open the Internet Explorer and then press ALT + T.
2. Choose the Internet Options. 3. Turn to the Connections tab and then LAN settings. 4. 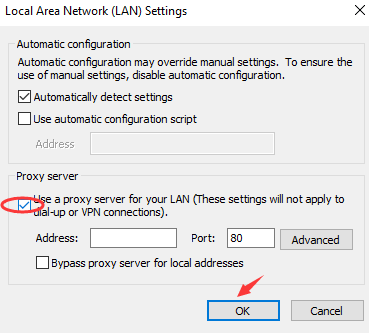 Untick the checkbox “Use a proxy server for your LAN” and then OK to save changes. Should all the above 5 methods come out no avail to Windows 10 update bug 0x8024500C, you can revert to a previous Windows OS where there is no 0x8024500C error code. 2. Go to Update & Security -> Recovery -> Advanced startup -> Restart now -> Troubleshoot. Here you can see the update history and then choose which Windows version you want to restore. Just follow the on-screen tutorials to roll back to Windows OS. That’s all! Hope the above 6 methods could be helpful for you to get rid of the Windows 10 update error 0x8024500C or can’t install or update apps from store Windows 10. If you have any doubt on this post, please leave comments in below comments section. 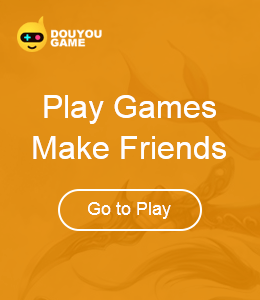 You can also click the SUPPORT BUTTON on the left of this page or turn to our OSToto official forum for help.